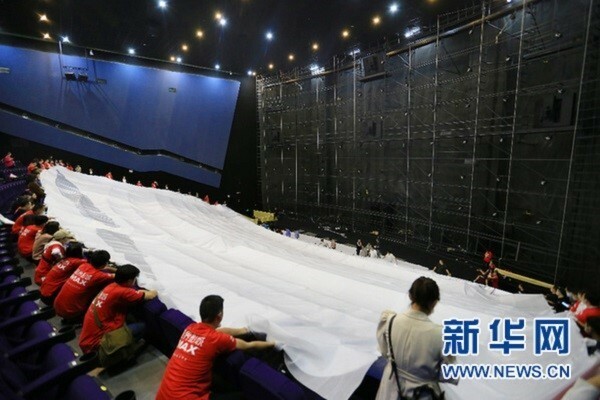 Cross Cinema in Guiyang, Guizhou, successfully installed a new IMAX screen on Sept 5 which became the widest in Asia and the second widest in the world. 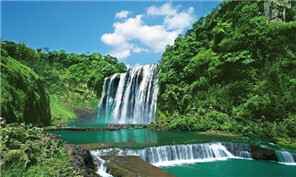 Bailidujuan Scenic Spot, Bijie, Guizhou province was selected as a top 100 national leisure agriculture and rural tourism attraction at a 2018 Beautiful Chinese Rural Leisure Tourism Attractions promotional activity held on Sep 19. Beipanjiang Bridge, located on the border of Southwest China's Guizhou and Yunnan provinces, was recognized by the Guinness World Records as world's highest bridge on Tuesday. An opening ceremony on Sept 18 in Guiyang, Guizhou province marked the launch of the Guizhou Precision Engineering Institute of Aircraft Industry. The 8th China (Guizhou) International Alcoholic Beverages Expo & 2018 Guizhou Inland Opening-up Pilot Zone Investment and Trade Fair successfully came to an end in Guiyang, the capital of Guizhou province, on Sept 12, having attracted 345,000 visitors over its four-day run. A technology exchange exhibition held by Guizhou Changjiang Electric Vehicles and Gasgoo, an online automobile purchasing platform, opened in Guian New Area, Guizhou province on Sept 13. A class aiming at cultivating talents in the auto industry opened on Sept 12, under the cooperation between Guizhou Changjiang Automobile Co Ltd and Guizhou College of Electronic Science and Technology. The world's first training base for self-driving technology engineers launched on Monday in Southwest China's Guizhou province, addressing the talent shortage in the burgeoning industry.